Heel pain is a very common but fully treatable condition. Heel pain is a very common but treatable condition. Heel pain can have such a negative impact on the quality of someone's life - it can stop them from going to the gym, running around with the kids, and even dread taking those first few steps in the morning. The good news is that it doesn't have to be this way. The podiatrists at Bellevue Podiatry help people like you eliminate heel pain every day. 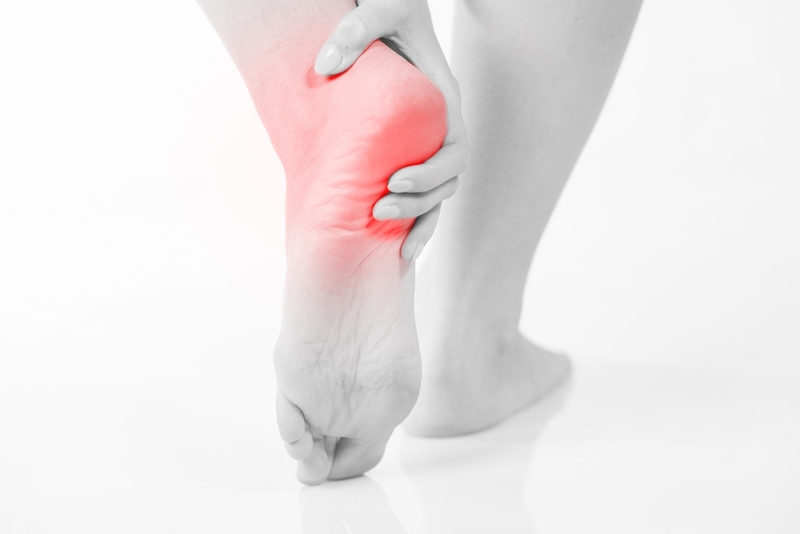 Adults, teenagers, and even children can experience acute or chronic pain in the heel. What usually begins as a minor pain gradually worsens over a number of years until it is unbearable. There can be many causes of heel pain. Most patients complain of pain in the base of the heel when stepping out of bed in the morning or after sitting for a long time. You might feel as if you are stepping on a stone or sharp object. This pain, known as plantar fasciitis, often subsides after you start moving around again... but unfortunately the pain comes back the next morning, and gradually gets worse over time. Many people think the heel spur they have developed is causing the pain. However, heel spurs result from chronic tension of the plantar fascia where it inserts at the heel. Put the spring back in your step: make heel pain a thing of the past! Many treatment options for heel pain are available. A podiatrist knows feet inside and out. It is important to have a specialist determine which foot structure is causing your heel pain and why (e.g. biomechanics, training errors, or shoe style). At Bellevue Podiatry, we confirm a thorough history of your behaviour plus an assessment of your foot and gait to develop a customised treatment plan to ensure we get you back on your feet and walking pain free. We are currently offering three gap-free bookings a week for people with Extras cover (or 50% off the initial consultation cost for people without Extras cover) to assess their heel pain or tendinopathy injury and provide a tailored treatment plan. Please mention this offer to Reception when booking in or be sure to select the “No gap heel pain assessment and treatment plan” when booking online. Ignoring heel pain never cures it and your situation will likely get worse the longer you leave it. Take control today by booking in online or call us today on (03) 9457 2336 to see one of our podiatrists and get this issue sorted once and for all.